Retro Game Brothers Grand Opening! Retro Game Brothers is a brand new Brick & Mortar retro video game store which just celebrated it’s grand opening today. And, of course, for such a prestigious event both the Sega Dude and Nintendo Joe were in attendance. 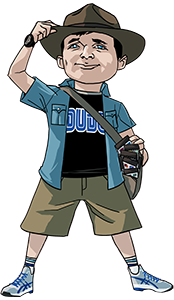 What the Sega Dude (that’s me!) did not expect was having to bank roll Nintendo Joe to the tune of $200. Clearly Nintendo Joe was not prepare for the treasure trove of gaming goodness that we walked into today. 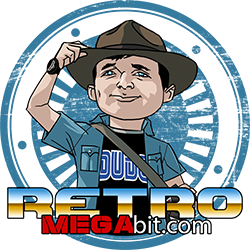 As of right now Retro Game Brothers is very light on the Sega scene. There was very little selection for any Sega system. 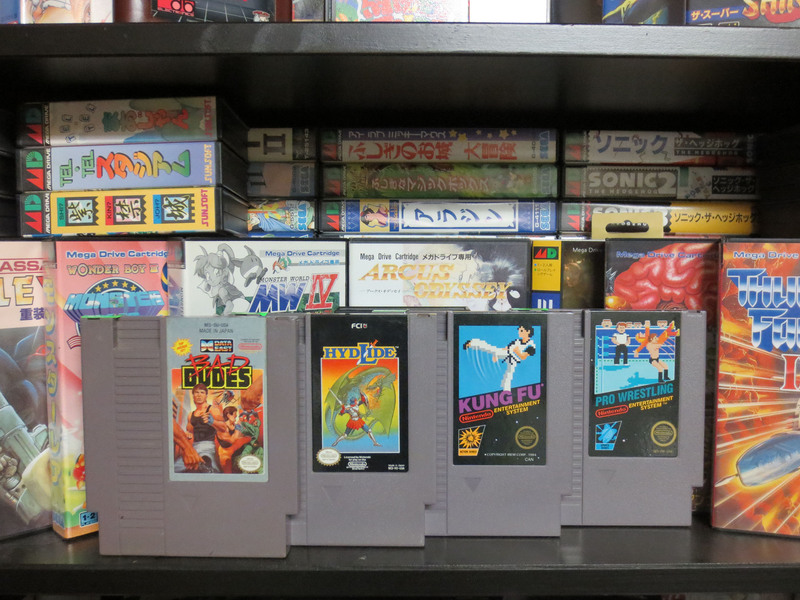 The upside is that I was able to grow my fledgling NES collection by twelve games. Even better still, eight of these games cost me $5 each. Five Dollars each feels sooo good! You’ll find nothing rare in the stack above but at this prices it’s really hard not to dive in. Spy Hunter, Pro Wrestling, Ice Hockey and Kung Fu are games I remember playing at my friends house back when they were new. I have a lot of fond memories of them. Specially Kung Fu despite Nintendo Joe exclaiming that it’s garbage. Star Tropics was recommended to me by a fellow dude I did not know who was shopping in the same $5 bin that I was. Nintendo Joe recommended Desert Commander saying that he’d seen it online and it looked like a fun game. And since he had left me with some of my own money I went for it. Thanks NJ! 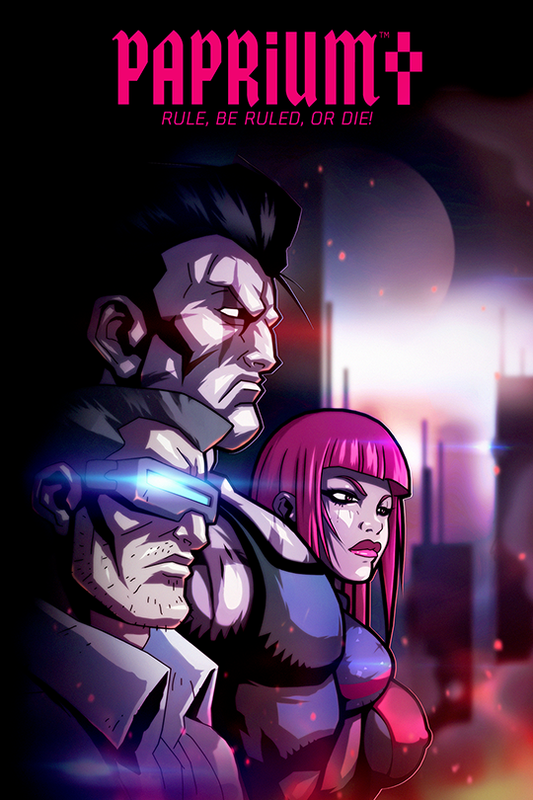 I’ve always wanted to try out Bad Dudes despite hearing mix reviews. Thanks fellow dude for the Star Tropics recommendation! Next up, the final four. These cost a bit more money but they were still very affordable. Nintendo Joe recommended Street Fighter 2010 and Journey to Silius. The other two I pick out myself because I was curious about Star Wars on the NES and the other had an interesting label. 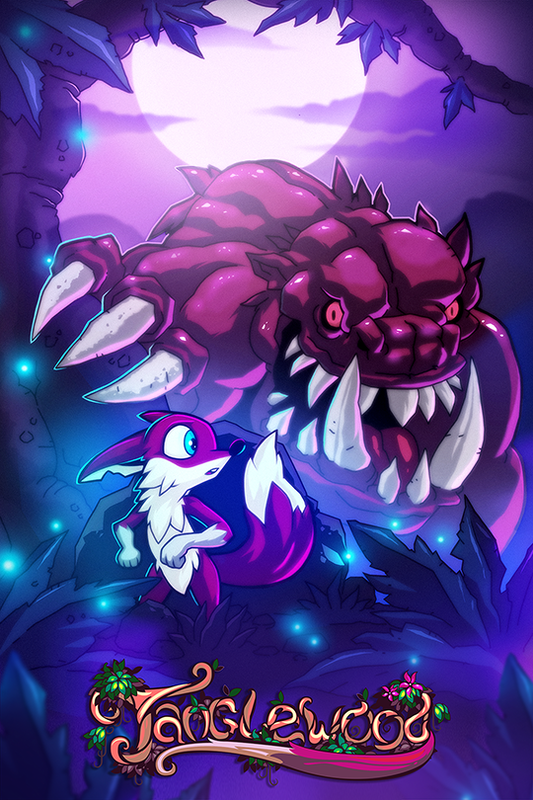 As it turns out all four of these games are platformers; which feels promising. And here are the slightly more expensive games I found today. Here’s what I paid for each: Star Wars $20, Street Fighters 2010 $20, Kid Niki $10 and Journey to Silius $25. 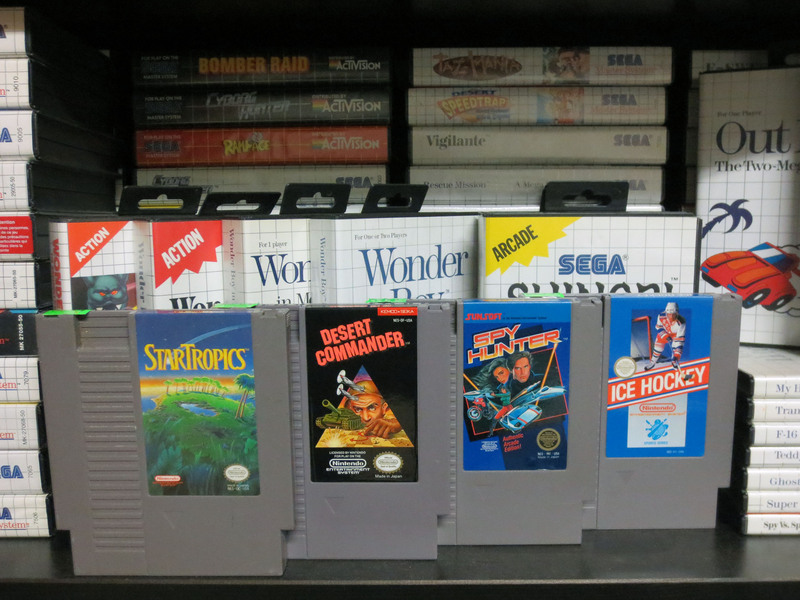 When I bought this stack of game to the counter to pay I asked for $5 off Journey to Silius which was priced at $30. They were more than willing and I feel I did really well at Retro Game Brothers. Nintendo Joe has an interesting story about a “deal” he managed to wrangle for himself. All in it was a fun trek with a good friend to what is promising to be a very good Retro Video Game store. 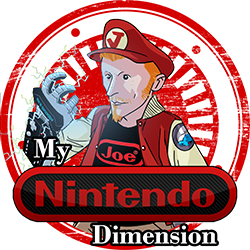 I’m sure myself and Nintendo Joe will head back for more sometime soon. Great haul! Brick and mortar stores are few and far in between, so I’m glad they’re opened up one over there. Seems like an awesome store to hit up if I ever visit Toronto. I am happy with these games even though I know there not all stellar titles 🙂 The price was right! And I know it’s not very exciting to read about a Retro Video game store that you just can’t get to but I’m trying my best to pass the word along. These guys have setup a nice store and I really hope they do well. I think it’s exciting to read about it, I’m happy as a gamer that these places sprout up even if I don’t live in that area. I think Startropics is an excellent game, only a bit on the hard side. The Legend of Zelda is easier than this. Maybe this trend will continue and we’ll see more stores open all over the place.